New. Trade paperback (US). Glued binding. 158 p. In Stock. 100% Money Back Guarantee. Brand New, Perfect Condition, allow 4-14 business days for standard shipping. To Alaska, Hawaii, U.S. protectorate, P.O. box, and APO/FPO addresses allow 4-28 business days for Standard shipping. No expedited shipping. All orders placed with expedited shipping will be cancelled. Over 3, 000, 000 happy customers. Fine. Trade paperback (US). Glued binding. 158 p. In Stock. 100% Money Back Guarantee. Brand New, Perfect Condition, allow 4-14 business days for standard shipping. To Alaska, Hawaii, U.S. protectorate, P.O. box, and APO/FPO addresses allow 4-28 business days for Standard shipping. No expedited shipping. All orders placed with expedited shipping will be cancelled. Over 3, 000, 000 happy customers. New. Trade paperback (US). Glued binding. 378 p. Contains: Illustrations, black & white. New. Trade paperback (US). Glued binding. 542 p. Contains: Illustrations, black & white. 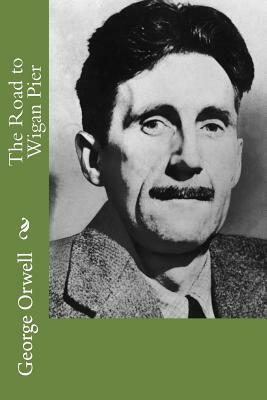 My first non-fiction book of Orwell. Excellent writing. Covers the backbreaking work of coal mining in the 30's. Bought 4 others that I'm reading now. His biting criticisms are accurate, full of detail and true today in new contexts.